Bringing this year’s total number of full-season manufacturers to a record-breaking eight, Ferrari and Honda will both officially contest the 2019 Intercontinental GT Challenge Powered by Pirelli campaign, which begins at the Liqui-Moly Bathurst 12 Hour this weekend. The announcement of Ferrari and Honda comes hot on the heels of Nissan, whose participation was confirmed on Monday. They’re joined on this year’s roster by Audi, Bentley, BMW, Mercedes-AMG and Porsche. Collectively, Intercontinental GT Challenge-registered entries account for 20 of the 28 GT3s competing at Bathurst this weekend, as well as almost half of the 41-strong entry list. Ferrari, which claimed Bathurst 12 Hours victory in 2014 and ‘17, makes its debut as a Intercontinental GT Challenge entrant at the same event this weekend. Two 488 GT3s are registered to score points towards this year’s Manufacturers’ and Drivers’ championships at the opening round: last season’s Suzuka 10 Hours pole position winners, HubAuto Corsa, field an all-Australian crew comprising Nick Foster, Tim Slade and Nick Percat, while experienced Ferrari outfit Spirit of Race has paired Pedro Lamy and Mathias Lauda with Paul Dalla Lana. 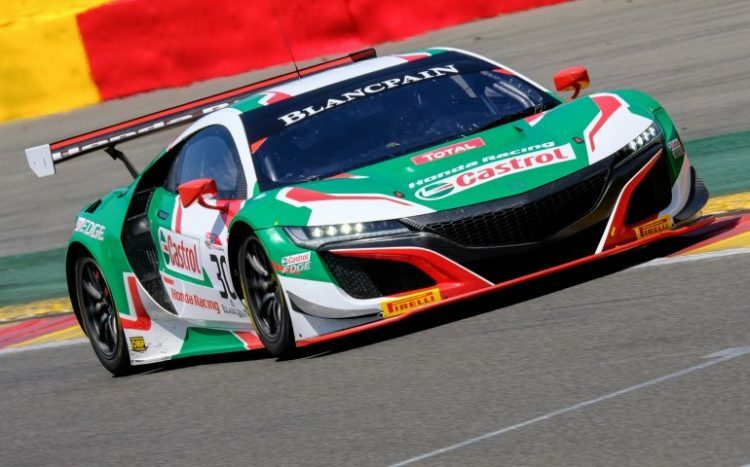 Honda, meanwhile, has chosen to skip Bathurst in favor of beginning its 2019 Intercontinental GT Challenge campaign at the Laguna Seca California 8 Hours on March 28-30 when its new NSX GT3 Evo is homologated to compete for the first time. The same model will then contest the Total 24 Hours of Spa (Belgium), Suzuka 10 Hours (Japan) and season-closing Kyalami 9 Hour (South Africa), which returns to the international schedule later this year for the first time since 1982. Stephane Ratel, SRO Motorsports Group Founder and CEO, said, “The addition of seventh and eighth full-season manufacturers, and especially those of Ferrari and Honda’s standing, underlines the growing significance of the Intercontinental GT Challenge on the world stage. A global championship featuring five of GT3’s biggest endurance races deserves a stellar entry list, and that is exactly what Intercontinental GT Challenge has assembled ahead of its fourth season. Audi begins the defense of its Bathurst 12 Hour victory and Intercontinental GT Challenge Manufacturers’ title at Mount Panorama in Australia this weekend (February 1-3).